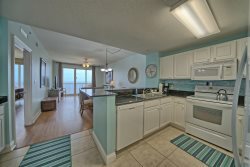 Breakaway Vacay Beach Rentals in Panama City Beach offers affordable vacation condos on the beach that come fully equipped so that you can focus on what's important... having a great time on the beach and in the water. We also offer long-term vacation rentals. Beach Haven - Regency Towers 309 - Directly over the west pool and facing the Gulf! Brenda`s Beach Blessing - Regency Towers 526 - Extra Large unit - Perfect family retreat! Siren`s Song - Regency Towers 708 A Mermaid`s Dream! Whispering Waves - Regency Towers 1311 Fun included! Pelican`s Perch - Regency Towers 704 - Three/Two - Just for you!